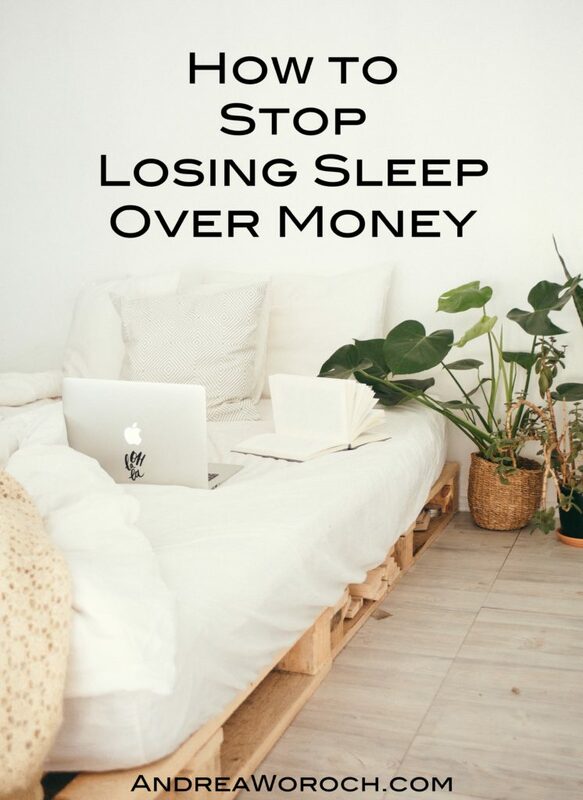 Money may not buy happiness, but having a healthy bank balance can certainly boost your mood by helping you get a better night’s sleep. In fact, a recent survey found that 65% of Americans are losing sleep over financial woes. If you’re living paycheck to paycheck or buried in debt and constantly worried about paying your bills, it’s no surprise you’re tossing and turning all night. Alleviating such financial anxiety comes down to managing your money better which you can do easily by following these 3 simple steps. Build a cash cushion. A bankrate.com report found that about six in 10 consumers don’t have enough savings to cover a $1,000 emergency like an illness or car repair. Having a cash cushion to cover such unexpected expenses will let you rest easy at night knowing you and your family will be taken care of no matter what. If you’re having trouble coming up with funds for an emergency stash, think about monthly bills you don’t really need like that beauty sample box. By cutting small expenses here and there, you can come up with extra cash to cushion your savings. Stop mindless spending. If you think earning a higher income is the only way to a better future, think again. The same survey found that 59% of people making $100,000 or more are in debt. This goes to show that fixing financial faux pas comes down to improving your spending habits. Begin by looking over your bank and credit card accounts over the last few months to identify areas that need improvement and start tracking your purchases to hold yourself accountable. After all, you can’t change what you can’t see and this exercise will help you uncover those unnecessary splurges. Monitor spending by using an app like YNAB (You Need a Budget) to better visualize your spending habits. Set a specific goal. Working towards a specific goal such as a vacation to the Bahamas can make your behavior-changing efforts more rewarding. Plus, it makes improving your habits easier to accomplish since you can visualize the target. Spend time thinking about the trip and picture yourself on the beach, sipping one of those fruity drinks with a colorful umbrella. This will help you get excited and feel more motivated to stick to your goal. You may even find it helpful to write down your goal and keep it somewhere visible everyday as a reminder of what you’re working towards. Or, attach a small sticky note with the goal on your credit cards as a reminder and way to dodge impulse buys. Changing your finances won’t happen overnight. But, taking steps in the right direction will help you feel more in control of your situation and lead to a better night’s sleep, all of which is crucial to improving your mood and quality of life!